At Anchor Systems, we pride ourselves on providing full support and a first-class service, which we believe goes above and beyond that of our competitors. This starts from the enquiry stage, where we work with our clients to gain a full understanding of what they are trying to achieve and how they like to work. We then offer full support and advice throughout the design and ordering process and even when our client has received their goods – we don’t leave it there. 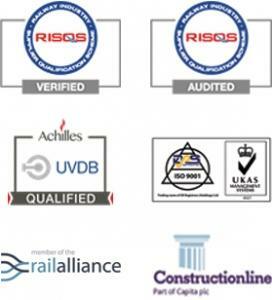 We go on to offer support, training and on-site supervision and will always make sure our clients are completely happy throughout the whole process. We can also provide clients with bespoke designed products that can be unique to them and their project. Anchor Systems work with a number of Consultant Engineers that support us in providing fully indemnified designs that consider site location and installation whilst delivering the most cost-effective solution. Before on deciding which package is most suitable for the project a site test is always required. A site test includes the onsite installation of a mechanical anchor to a determined depth. The installation is normally conducted by the main contractors staff and supervised by an Anchor Systems operative. Once the system is installed, the anchor is then tested in line with our report process to identify the ultimate holding capacity of ground (soil mechanics failure). The test is also conducted to ensure the anchors can be installed either by hand or by machine and to prove loading requirements that are achievable including any Factor of Safety that has been specified. Use: For retaining walls, Embankments and slopes etc. This design is based on a principal engineer supplying loading requirements and associated drawings and soil investigation. This design will assess the specific soil conditions based on the information provided and in turn specify the correct anchor(s) to be used and in what specific layout. The design will be derived based upon data calculations using published methods appropriate regarding this form of ground anchorage e.g. Eurocodes, DMRB, CIRIA etc. The design will be delivered in a report format in PDF along with a signed design certificate if required. Considerations: When using a Local Stability Design with a structure (retaining wall etc.) involved within the overall design, there is a requirement to use a Structural Engineer to ensure that the structure is adequate. Use: For retaining walls, Embankments and slopes etc. This design is in addition to the Local Stability Design. This design is based on a principal engineer supplying associated drawings, a factor of safety and soil investigation and not the loading requirements. 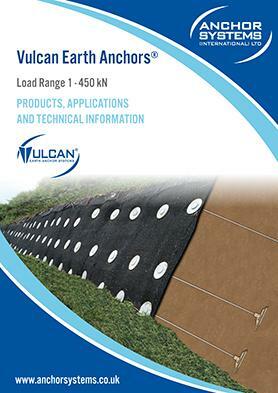 This design will specify the loads of each anchor to maintain the required level of stability. The design will be derived based upon data calculations using published methods appropriate to this form of ground anchorage e.g. Eurocodes, DMRB, CIRIA etc. The design will be delivered in as a report format in PDF along with a signed design certificate if required. Considerations: When using a Global Stability Analysis Design with a structure (retaining wall etc.) involved within the overall design, there is a requirement to use a Structural Engineer to ensure that the structure is adequate. Topographical Surveys – (used to identify and map the contours of the ground and existing features on the surface of the earth or slightly above or below the earth’s surface (i.e. trees, buildings, streets, walkways, manholes, utility poles, retaining walls, etc.). The Anchor Post can be used as a quick and simple replacement for concrete as a foundation solution. Over the years, the Anchor Post has been used in many applications from supporting lighting columns to acting as a foundation for walkways. The Anchor Post can easily be designed and adapted for many other applications and uses. We have an experienced and helpful design team that would welcome any enquiries for cost-effective and environmentally friendly foundation systems.